Is your house not selling? If your home has been on the market for months then you may be thinking something isn’t quite right, the likelihood is that there is something minuscule and petty that home viewers might be deterred off your home by. Unfortunately no matter how big your home is or how much land it has, if you are not handling the home selling process correctly it can be difficult for your property to sell. This could be due to a number of factors, but if you aren’t sure what they are then not to worry. We have devised a list of common reasons that properties struggle to sell, by improving these points you will have your property sold in no time, so keep reading! Nowadays with all the advancing technology, it would seem like a breeze to upload suitable images of your home to show sellers it’s features and spacing. Potential buyers make their decision pretty quick about whether they like your home or not and whether they’re interested, simply from a few photos. As a starting point, make sure there are no eyesores in the images you upload, or anything that would be off-putting to potential buyers. Make your home look neat and tidy throughout the home buying process for your pictures as well as viewings. Then try and take your images with a high-quality device such as a digital camera or a smartphone, this reduces the likelihood of your image looking like its been taken shakily or blurry. Try and make your home as bright and open as possible, the key is a bright, clean look for your home. Remove any bins in the images and try to avoid bright colours, open all living room and bedroom curtains or blinds and make sure to make your bed. And when it comes to your properties actual listing, make sure they are listed on popular property market sites such as OnTheMarket, Rightmove and Zoopla. Once your property is one these sites, be sure to write in as much detail as possible, including the number of bathrooms and bedrooms, what your property has access to close by and as much information as possible that would be beneficial to any of your interested buyers. Without any benefits of moving into your home, it will be doubtful your home will sell. Your pictures may have impressed buyers, and they’ve made arrangements with you to come and view the house. If you’ve got to the viewing stage but your home still isn’t selling this could be your problem, what condition is your home in? Is the garden messy? Does it need a bit of tender loving care to bring it back up to its full potential? If you don’t do basic home checks before putting it on the market, buyers won’t even consider putting down an offer. A home should be clean, well looked after and habitable, if your home has peeled off paint or chips in the brickwork externally, buyers are going to be out off before even stepping foot in your home. As for inside, be sure that all of the paintworks in your home is up to scratch, check for damp or mould and any other home problem that you could have fixed to make a good impression on potential buyers. Have your home valued, never decided to set a price yourself as it could be too high without you even realising. Your home value depends on a variety of factors such as; location, size and layout, storage, crime rate, flood risk, school catchment and local transport. There are other internal factors such as repainting the walls and other tasks, but big factors are what determine the pricing of your home. You may live in a humungous 6 bedroom home with plenty of land and storage, but if your home is located to a large scale river that is prone to catastrophic floods during bad weather, this could take a significant amount of money off of the value of your home. 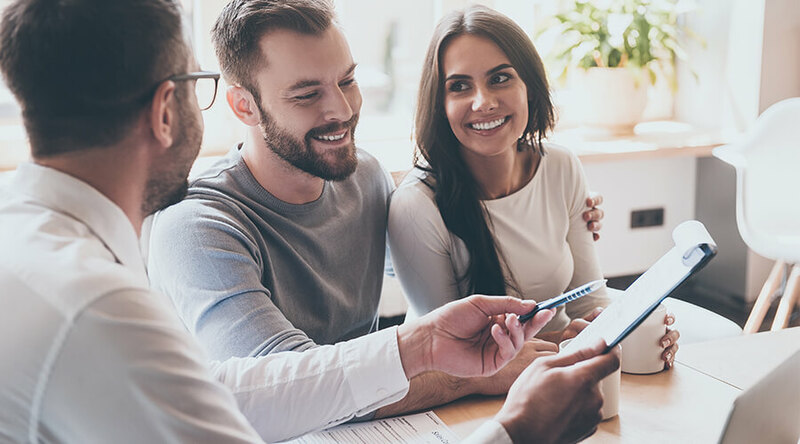 You can price your property yourself, although it is not advised as you do not have the proper knowledge to decide on a fair price based on the positive and negative aspects of your home. If you wanted to increase the amount your home is worth there are plenty of external home extensions Towcester that would be beneficial to you. There are a number of holidays throughout the year that is celebrated by almost the entire population, an excellent example of this would be Christmas. If you want to move home as soon as possible be sure to list your property at a good time of year. Listing your property during the December month is very unlikely to sell, everybody is rushing around preparing for Christmas, buying Christmas presents and spending time with family. Not only are they not going to have time to look for a property, but it’s unlikely they will have the cash on hand to put a deposit down on a new home just before Christmas. Good times to put your home on the market are the New Year as well as the Spring or Summer months. This is because, during this time, the sun is out, flowers are blooming, and the sunshine generally makes a few appearances. During the New Year, the property market tends to flourish, as New Year’s resolutions come into play and the desire to start a new life somewhere fresh kicks in, it tends to prompt people to put their properties on the market and buy a new house. So if you’re looking to sell your property fast for a reasonable price without any hassle, then be sure to post your property on the market at these recommended time of year. Or if you want to invest in the property ladder, then why not have a home extension, or have builders Newport Pagnell help you plan and construct a new build home. So using these top tips, take it upon yourself as well as your estate agent to decrease the amount of time it takes you to sell your own home, as well as move into your brand new one!